What is Contextual Targeting and How Does It Work? In a post-GDPR world, with the introduction of many new rules and requirements governing personal data and user consent, advertisers will have a tough nut to crack. On top of that comes the user’s right to be forgotten, the right of data portability, and numerous other complications. The new EU law will put a spanner in the works for advertisers, making the traditional behavioral targeting of ads a real challenge. Contextual targeting (aka in-text, in-context advertising, and even non-personal or non-personalized advertising) offers a partial remedy to the GDPR’s restrictions and liabilities by reversing the targeting process. Contextual targeting allows advertisers to display relevant ads based on the website’s content rather than using the data about the visitor. The idea is not completely new; before the advent of the Internet, contextual targeting was widely used in magazine and newspaper ads. Remember the full-page or half-page ad of an SUV sneakily placed next to a feature on 4×4 cars? That was it. Contextual ads in print, along with topical advertising and interactive print ads, gave incredible creative freedom and served as an outlet for some very original ideas in the seemingly outdated print medium. Contextual ads are a way to precisely target the ad without excessive need for user data. While putting such an ad in print required careful editorial consideration and a lot of manual work of the design team, contextual targeting is fully automated today—it’s all about algorithms and scripts. The first examples of contextual targeting can be traced back to the early days of the Internet, when online methods like behavioral targeting and retargeting were only gaining traction. Got questions about contextual targeting? Over the years, the growing popularity of the Internet and emerging advertising technologies have enabled advertisers to segment audiences and target them based on their behavior and interests (i.e. behavioral targeting). However, today many print publishers still take advantage of contextual targeting simply because it’s very effective for specific kinds of content. Although less elaborate than other techniques, contextual targeting is also gaining traction again due to smaller reliance on personal data. Why Is Contextual Targeting Gaining Popularity (Again)? 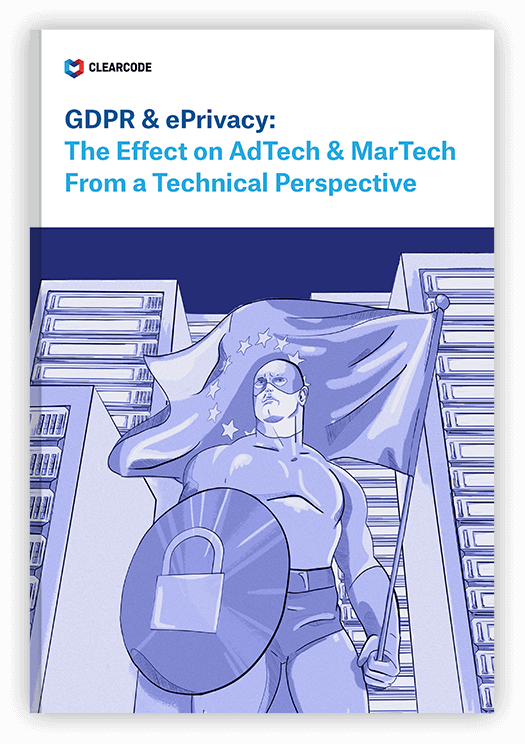 Methods which heavily rely on user data, like personalized advertising and retargeting, may soon have a hard time due to the GDPR. Advertisers (via publishers) will have to obtain consent from users to collect and use their personal data, but as research has shown, it’s likely only a minority of users will actually consent. With heavy reliance on personal data came bigger awareness of how advertisers were collecting and using this data and reluctance of users to online ads, which resulted in the rise of ad blockers. As a side-effect, we are witnessing a revival of contextual ad targeting today—methods immune to the GDPR changes, and almost just as effective. How does contextual targeting work? A web crawler scans every URL of the website and categorizes content and placements. When a user visits a given page, the information about the URL is passed in the request to the ad server. The ad server can match with data collected by the crawler for the specific URL and can match relevant campaigns to topic categories, keywords, etc. Online behavioral targeting uses information about the user to determine which ad to display. The publisher’s ad server passes certain pieces of information (e.g. location and device type) to AdTech platforms—ad exchange, supply-side platform (SSP), data-management platform (DMP), and demand-side platform (DSP). The information about the user (such as demographics, behavioral profile, browsing history, etc) comes primarily from a DMP. Contextual targeting uses information about the website and page to determine which ad to display. The publisher’s ad server may fetch page-level data (e.g. the article’s tags, content, and category) and pass it to various AdTech platforms (SSPs, ad exchanges, and DSPs). Additional enrichment could also be done by analyzing the page’s content via a separate data provider queried by the ad exchanges/SSP. Compared to behavioral advertising where the AdTech platforms query the user’s cookie ID or device ID, contextual advertising queries the URL and/or placement IDs. With minimized reliance on personal data, contextual targeting is safe regulation-wise, and helps align with the GDPR without much effort. In fact, contextual targeting allows companies to avoid the GDPR completely, provided they don’t collect or use any personal data. If only information about the website and specific page (content, keywords, URL, etc.) is used, then targeting happens outside of the terms stipulated in the GDPR, and therefore there is no need to comply with it. Contextual ads can complement content. Contextual ads are very effective for specific kinds of content. Some studies indicate they can increase purchase intent by 63%. Contextual ads are found to be less unnerving than traditionally targeted display ads. In this way, they may be seen more positively. Contextual targeting is based on the actual interest of the user. For example, when researching a specific product or service, let’s say a new mobile phone, you are likely to read a number of reviews. Contextual ads on review sites are likely to be displayed based on the content rather than on your browsing history. It shows user area of interest, increasing the chance of receiving a response. Contextual targeting is leaps and bounds more GDPR-safe and effective than other targeting methods; however, it is not free of its own limitations and problems. Contextual advertising is a process that requires constant attention. For example, some contexts are too broad for precise targeting and the ad slots may end up being taken by a competitor’s ads. There are examples of some unfortunate ad pairings. For example, a user reading a post about Tom Cruise’s new Spanish villa is not necessarily interested in buying one themselves. Problems implementing frequency capping (i.e. limiting the number of times a specific visitor to a website is shown a particular ad). This is independent of contextual targeting; it’s to comply fully with GDPR and not store any tracking cookies/identifiers of the device. Scaling branded, contextually relevant advertising organically is not easy. Precise contextual advertising may take careful consideration of keywords at the stage of writing the content. This approach is not much different from SEO, and is definitely time-intensive. With the GDPR round the corner, contextual ads may soon be the only way for publishers to ensure compliance and continue displaying targeted ads. To do it, publishers can use AdSense contextual targeting or partner with an AdTech development company to create a custom solution. This may not only be a way to meet a specific website content’s needs, but also offers better control of the ads and the ways they are displayed. Considering building your own contextual advertising platform? Schedule a call with our technical team to discuss your needs and goals and find out if building a custom contextual advertising solution is the right move for your business. What is Ad Verification and How Does It Work? What is Behavioral Targeting and How Does It Work?